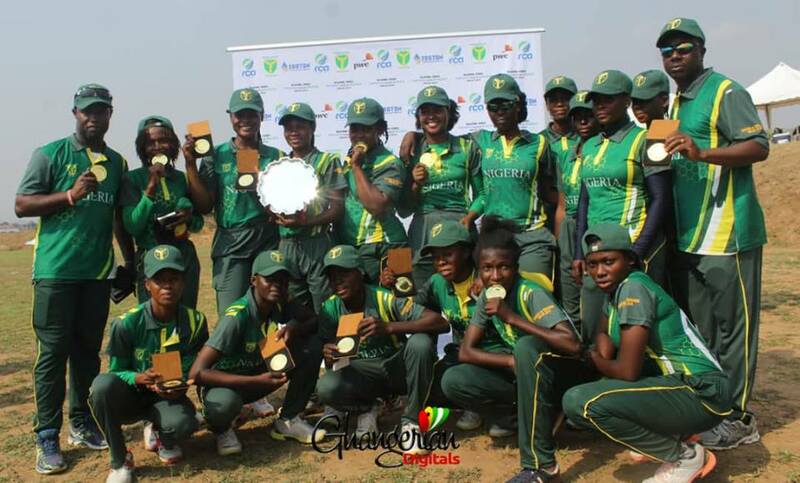 According to a recent publication by International Cricket Council (ICC) on www.icc-cricket.com, the Nigeria Female team has been ranked 36th out of the 50 countries on the World T-20 International radar. In line with the brief of ICC, Nigeria women’s National Cricket team represents the country in international women’s cricket. The team is structured and set up by the parent governing body which is the Nigeria Cricket Federation which has been a member of the ICC since 2002. Women Cricket, which is relatively new in the history of sport in Nigeria, made its international debut at the 2011 ICC Africa Women’s T-20 Tournament in Uganda. The team lost their first game against Kenya, by ten wickets but made amends to record their first win the next match against Sierra Leone by six wickets. They lost their remaining three matches against Namibia, Tanzania, and Uganda. However, finishing fifth out of six teams overall turned out to be a decent performance at first international exposure. Nigeria has not yet played in another Africa-wide tournament, but in August 2015 appeared in an invitation tournament in Dar-es-Salaam, which featured the Tanzanian national team and a team from India’s Mumbai Cricket Association. In April 2018, the ICC granted full Women’s Twenty-20 International (WT20I) status to all its members. Therefore, all Twenty-20 matches played between Nigeria women and another international side after 1st July 2018 will be a full World T-20I. Most recently, Nigeria hosted the first leg of a bilateral series with Rwanda which signalled its Twenty-20 International debut at the newly constructed turf wicket oval in Abuja from 26th to 30th January 2019. The teams played a five-game series with Nigeria winning 3-2.